6 foot (1.82M) long translucent GRP sheet in ‘BIG 6’ profile, these sheets are 3ft 6 inch wide (1086mm) for a 3 foot 3 (1M) cover width. 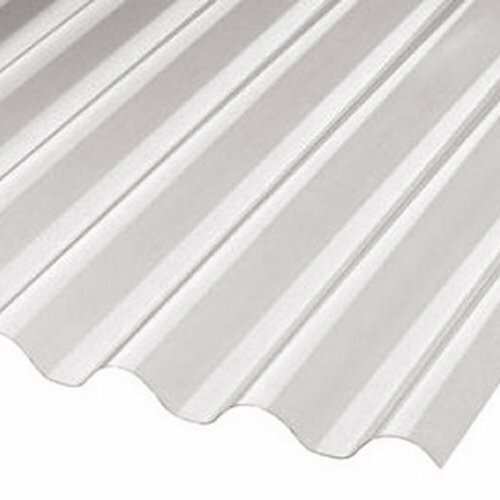 These sheets are very strong and often used as light panels in garages with fibre cement roofs. These sheets are class 3 fire rated and are 1.83 kg per square meter, designed for general domestic buildings. Heavier duty versions are available to special order.